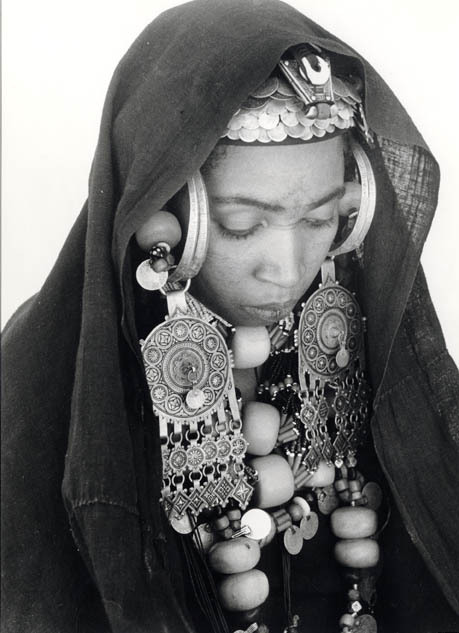 Berbers are the indigenous ethnic group of North Africa, west of the Nile Valley, and today most Berber-speaking people live in Algeria and Morocco. Most of them speak different dialects of the Berber language, but the presence of the Arabic language and dialects is due to the spread of Islam and to the immigration of some Arab tribes to the region centuries ago. 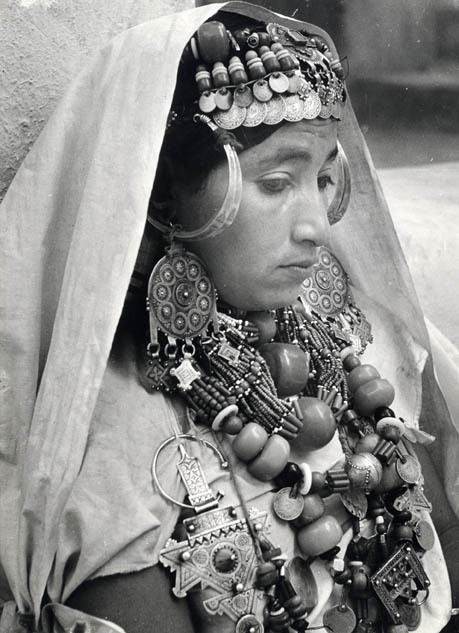 A Berber person is not necessarily only someone who happens to speak Berber as the identity is usually wider than language and ethnicity, and encompasses the entire history and geography of North Africa. 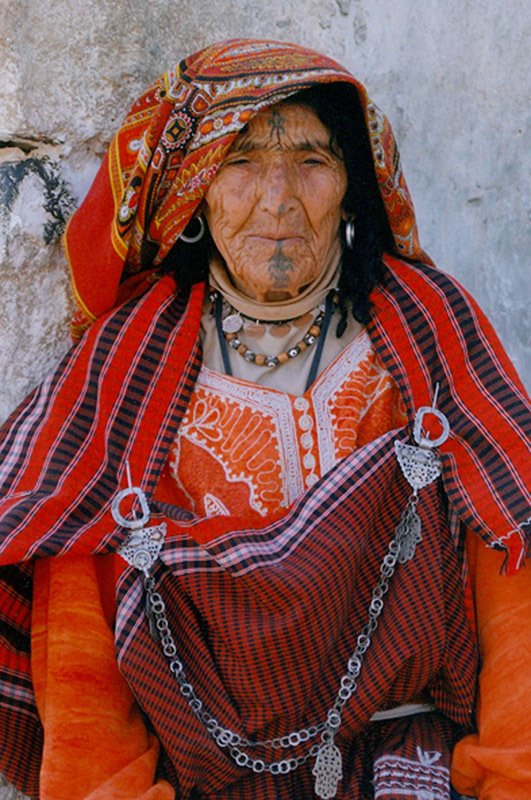 Berbers are not a homogeneous ethnic group and they encompass a range of phenotypes, cultures and ancestries. 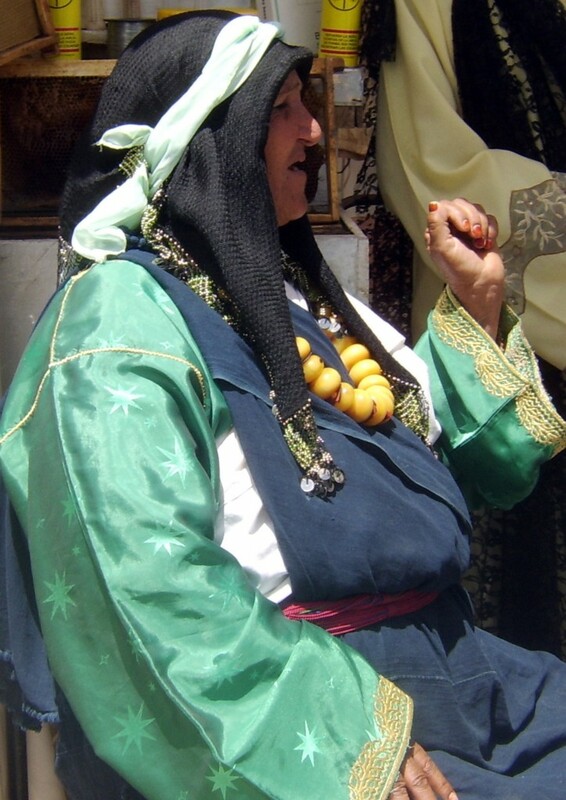 The unifying forces for the Berber people could be their Berber language, belonging to the Berber homeland, or a collective identification with the Berber heritage and history. Some of the earliest mass-produced beads made from faience (glassy ceramic disc like beads) were made in Ancient Egypt and some of the oldest examples of constructed beadwork have been found there, but beadwork using small glass beads was not an important technique in either Egypt or the rest of North Africa until the end of the 19th century. 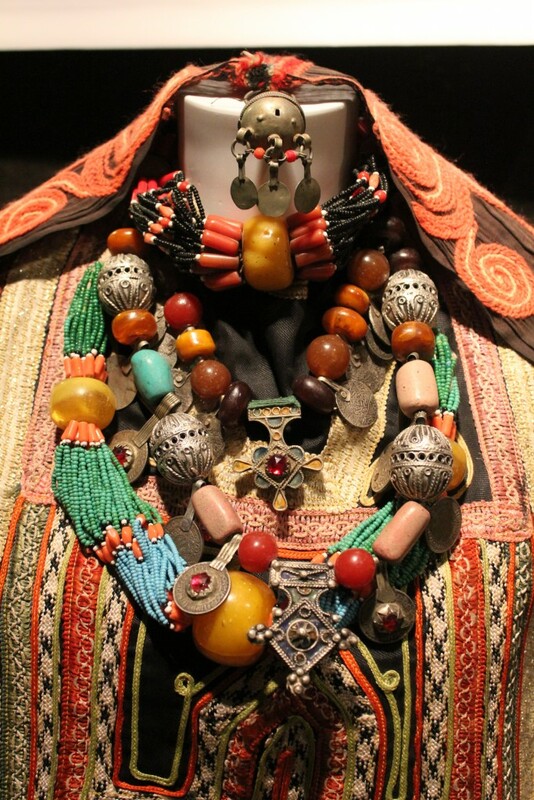 Over the centuries each tribe has developed its own particular skills and traditions in jewelry making; the Kabyle of Algeria wear brightly enameled silver, in the Middle Atlas the Ait Hadiddu make heavy silver pieces and necklaces with huge amber beads and, on the fringes of the Sahara, exquisite jewelry is created using silver coins, branches of coral, amazonite and glass beads. The “hand of Fatima” pendant, the five fingers of which represent the five fundamental principles of Islam is also often seen in different creations of jewelry. In the Ante Atlas beadwork is now produced using both a variation of one-bead netting and loom weaving. 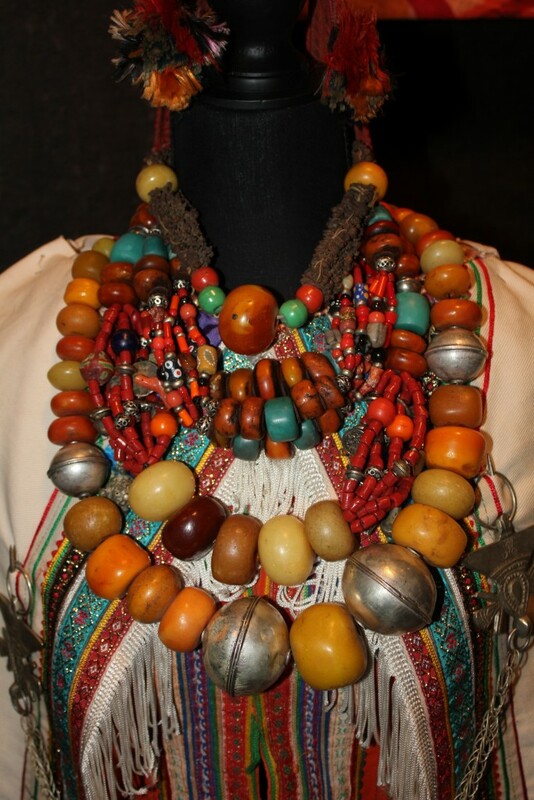 The beads are small glass seed beads from the Czech Republic and the work is constructed using a stiff nylon thread so the beads can be strung without using a needle.